Grow your business by gaining market access to the immense opportunities in Canada and the U.S.
CSA Group is the number one testing and certification provider of gas appliances in North America. CSA Group tests and certifies many global leading brands to help comply with applicable U.S. standards written by ANSI, ASME, ASSE, ASTM, ASFE, UL, CSA, NSF, and more. North American economies comprise more than 579 million people or eight percent of the world’s populations. With greater demand for certified products that meet critical requirements in this region, we can help guide your business through the certification process and quickly access these robust economies. 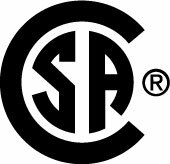 OSHA recognition means CSA Group is qualified to test and certify a wide range of products to U.S. national standards for safety and performance. Transform your innovations into quality products that meet critical safety requirements with our expert testing services.